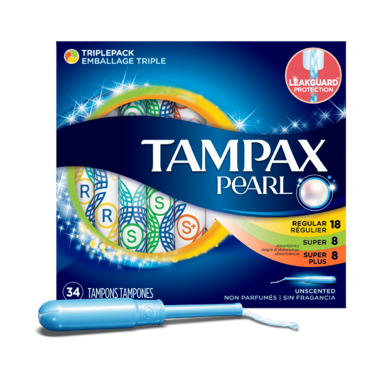 Get protection and comfort every time with Tampax Pearl Tampons. Only Tampax has a unique LeakGuard™ Braid that helps stop leaks by channeling them back into the core, giving you ultimate protection even on your heaviest days. The Smooth Removal Layer gives you amazing comfort, even on your lightest days.